Dr. Wendy Marshall (center) and Explor Educator Aisha Lozada (left) help a group of kids, including Robert Niggebrugge, 18, of Huntington Beach, work on their projects during ExplorOcean’s Building & Programming Robots with Hummingbird class on Tuesday. The robots could light up and make sound. Introducing new, interactive and entertaining programs, ExplorOcean is a must visit this summer. Located in Balboa Fun Zone, the nonprofit organization offers various activities for kids of all ages and their parents, ranging from animal feedings to free Science Sundays. 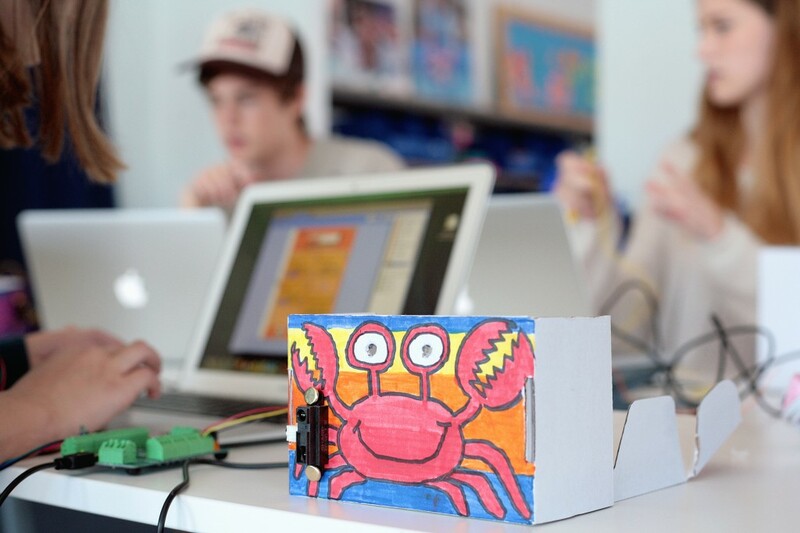 New this summer are 13 hands-on “Maker Workshops,” which teach children and teens age 10 and older about technology, programming, and engineering in the organization’s new Innovation Lab. Classes include how to build robots, rockets, metal detectors and other projects. Kids will learn about electricity, circuits, conductors and more. Dr. Wendy Marshall, ExplorOcean’s director of education, wants to make the program an invaluable experience for children. “To be the next crop of explorers, you have to be a risk taker, be creative and innovative, and a problem solver. We feel like we are developing those habits of mind here,” Marshall said about the Maker Workshops. Kids test out their robotic projects at an ExplorOcean workshop on Tuesday. The colorful cardboard robots had parts that lit up and make sound. The program provides the time, tools and space to create, she said. 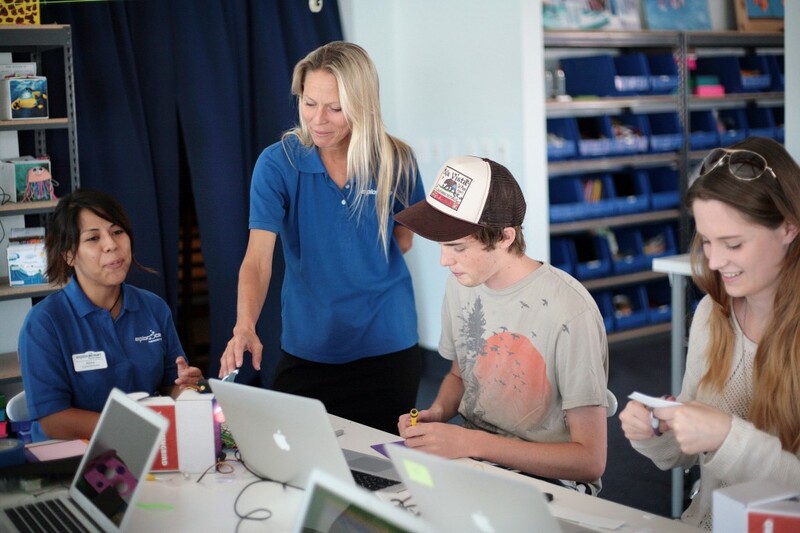 Classes are held several days a week in the new Innovation Lab, a fully-equipped area at ExplorOcean that allows kids to learn in a fun atmosphere. Grounded in the seventh principle of ocean literacy that the ocean is largely unexplored, the program is designed to provide kids with the tools to discover. The different activities teach the participants to “understand and then innovate.” The separate sessions use different materials to teach unfamiliar skills, such as soldering. All materials are provided. The projects Makers work on range from simple to extraordinarily complex, allowing all ages to be intrigued, impressed, and challenged. “It’s cheaper than babysitting, and they learn how to program robots,” Marshall said. On Tuesday, four Huntington Beach siblings worked with Hummingbird robotics kits, programming robotics with a computer to manipulate movements and create noises. 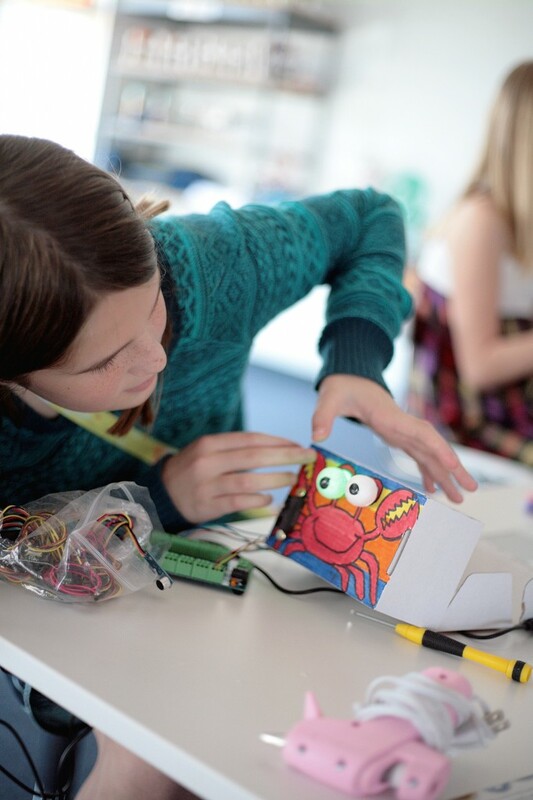 Younger children can also enjoy the fun and create projects in the Maker Workshops. “It’s really cool because it can be simplified for someone of a younger age or someone who’s going to go to college,” Aisha Lozada, an Explor Educator said about the equipment she uses to teach kids programming and robotics. Marshall has taken her Maker’s programs to schools such as Newport Elementary, Ensign Middle School, and Costa Mesa High School, mixing the skills needed in robotics with the necessities of everyday life. It’s also important that participants are able to clearly communicate and explain their work, Marshall said. Kids learn to control their robots through a computer program. The projects and hands off approach taken by the staff help the children learn from their mistakes and work their way through problems. Children learn how to problem solve and persist in their endeavors in the Maker Workshops and ExplorOcean’s other programs. The workshops try to help kids develop these “soft skills” that are not easily learned everywhere. “It’s mostly learning that mistakes are okay,” Marshall explained. ExplorOcean offers activities for all interests. Another one of their programs, EcoTech, teaches kids about ocean threats, and has them create and use underwater robots to film documentaries, thereby mixing ocean ecology, robotics, and film making into one activity. To many kids, robotics may seem more difficult than fun, but most participants enjoy the experience and many comment that they would like to continue learning about robotics in the future. It’s the perfect way to introduce children to programming and engineering, while also testing out expensive tools, Marshall said. 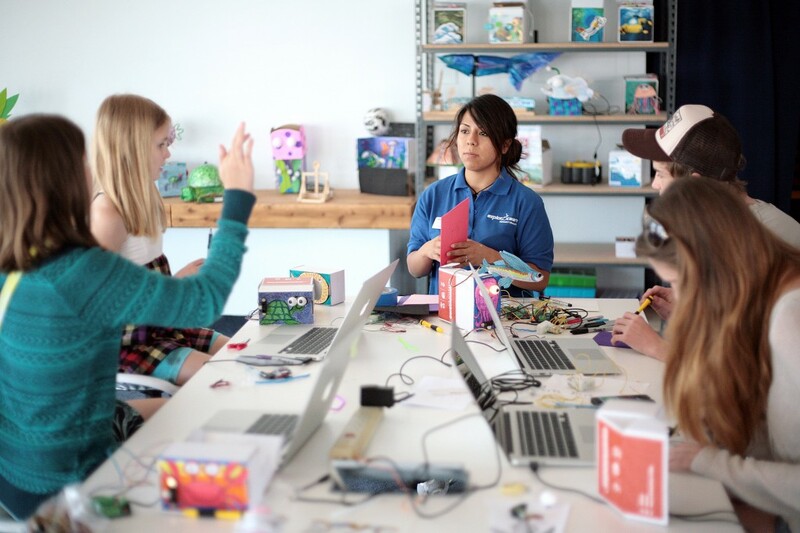 Maker Workshops and other programs at ExplorOcean not only educate children, but are an exciting experience which can broaden minds and arouse new interests. Each activity at ExplorOcean is $10 per hour, with an additional charge for the equipment specific to each project. Class sizes are limited and reservations are required. For more information on ExplorOcean programs, visit ExplorOcean.org. A group of Huntington Beach siblings, between ages 10 and 18, work on their Hummingbird robotic kits at an ExplorOcean workshop on Tuesday. Yelp Explorocean visitors beg to differ – “John H.
Extremely disappointed in how they handled a class that my kids attended. Staff was rude and extremely unhelpful. Follow up email from the staff was disappointing as well. Parents avoid. They are horrible company trying to take over the fun zone and kicking out businesses that have been their for many. The are jealous because they are not getting tourists into their museum. DO not visit them, boycott their venue and tell them to get the heck out. The museum is mediocre at best. Instead of preserving the history of Newport Beach, they are destroying it. The only thing they are preserving is the time-honored SoCal tradition of bulldozing what little history we have. The fun zone was great! First the bumper cars, then the merry-go-round, next will probably be the ferris wheel. Soon it will be all gone.